This Mt. Airy / Northside home has achieved the U.S. Green Building Council’s Leadership in Energy and Environmental Design (LEED) Gold Certification and received the City of Cincinnati’s CRA Tax Abatement which is an enhancement incentive for pursuing LEED certification. They should save about $40,000 over the additional five year period of the tax savings, easily paying for the approximate $20,000 in higher performance materials, systems and LEED fees. The Wright Residence is an example of infill site in an existing neighborhood which means the Wright’s decision to build in Mt. Airy means new infrastructure such a water lines, roads and electrical service didn’t have to be built, saving valuable farm land from development if he had decided to build on a greenfield site. This residential neighborhood is within walking distance to a bus stop. The home also received points for limiting conventional turf and providing drought-tolerant native perennials. And to help the Wright’s understand how to operate and maintain this new home, Graybach provided an Operations and Training Manual as well as a one hour walkthrough of basic operations. And LEED homes receive a third party inspection, in the Wright’s case it was provided by Paul Yankie, Provider QAD, and Dave Horton, Green Rater, of Green Building Consulting. It may seem obvious but LEED doesn’t allow building in a 100-year flood plain, habitat for threatened or endangered species, public parkland or prime farmland soils. In addition to sustainable design, this home is designed so the owners can age-in-place, accessibility and adaptability are planned into the project: Zero-step entry from both the front door and garage, Doors are wider with lever handles, contrasting cabinet and counter-top colors, wider hallways and bathroom and blocking for grab-bars. The ground floor great room takes advantage of the wooded back yard. By combining living and dining with the kitchen and entrance to home feels large and inviting as you enter. LEED places special attention to the durability of the home. By durability the US Green Building Council means: non-paper backer board in tub, shower and spa areas; no carpet in kitchen, bathroom, laundry and spa areas; no carpet within 3 ft of each entryway, drain and drain pans in hot water heaters, clothes washers/dryers in/over living areas; and exhaust clothes dryers to outdoors. LEED projects encourage sourcing materials from within 500 miles, including recycled and rapidly renewable content. Two examples of regionally sourced materials are the Cement board siding provided by Hardie and the recycled drywall provided by LaFarge. Rapidly renewable means the materials such as bamboo or cork is grown and harvested within 10 years. In the Wright residence, Edward and Heather chose bamboo flooring. With LEED for homes both the Architect, Contractor and the U.S. Green Building Council consultant work together to be sure the home earns the LEED points needed to meet the goals of the project. Architect Edward Wright of Wright Design, LLC along with Pete Subach of Graybach worked as a team to meet the homeowner’s needs for contemporary design while meeting sustainability goals, the home receive LEED Gold. Edward Wright of Wright Design, was one of the first Architects in Cincinnati to receive the LEED for Homes credential. Wright Design, has prepared designs for renovations and new construction in single-family and multifamily projects. And currently has several projects under construction and seeking LEED Certification in Northside and Over-the-Rhine’s Pendleton Neighborhood. Finishing off the building materials includes paints, caulks, stains and urethanes. To meet Leadership in Energy and Environmental Design (LEED) requirements the Wright’s chose low Volatile Organic Content (VOC) coatings and sealants. In other words, you could be in the home while painting was being done and not smell anything. LEED homes even address non-toxic pest control by sealing external cracks, joints, etc. with caulking and installing pest proof screens, they contain no wood-to-concrete connections and use solid concrete foundation walls. The exterior walls are Structural-Insulated-Panels (SIPs) provided R-40 walls. The roof combines rigid insulation and fiberglass insulation to provide over R-60. The home feels warm all year. Besides super insulation and very tight air sealing, the Wright Residence uses a Geothermal Heat Pump, which also sends waste heat to supplement the water heater. The home also features thicker MERV 11 air filters. These filters are two inches thick rather than the typical one inch filters. Green homes encourage keeping the dirt out with entry way walk off mats, isolating household chemicals and much finer resolution air filtering. The Wright’s home has received a 47 HERS Index. The Home Energy Rating System (HERS) Index is the industry standard by which a home’s energy efficiency is measured. It’s also the nationally recognized system for inspecting and calculating a home’s energy performance. The HERS Index measures a home’s energy efficiency and there are a lot of great reasons to have a home energy rating performed on your house. It can tell you so much about the home you live in, like how efficiently it’s operating and where you can make modifications for greater energy savings. When you’re selling your home, a low HERS Index Score can command a higher resale price. And when you’re buying a home you can anticipate the costs of energy bills and efficiency upgrades. The U.S. Department of Energy has determined that a typical resale home scores 130 on the HERS Index while a standard new home is awarded a rating of 100. A home with a HERS Index Score of 47 is 53% more energy efficient than a standard new home. To help support energy efficiency and provide better indoor air quality, the ventilation system incorporates an Energy Recovery Ventilator into the ductwork. This device is a type of fan that pre-heats or pre-cools incoming fresh by passing the stale indoor air over fresh incoming air. The Wright’s contemporary design perspective is apparent throughout the home with its use of textures and finishes. Heather and Edward collaborated on the homes’ modern interior design, which includes the octopus stencil in their boy’s bathroom. Cincinnati has some unique reasons to save water and use less of it to flush sewage, it’s an older city whose initial storm water conveyance system was designed to prevent hillside collapse because of extreme rainfall events. Later in its history it was used to convey sewage and because it’s a combined stormwater and sewage system sometimes it can’t handle a multi inch storm event and flows right into the Ohio River without treatment. The EPA has required the city to reduce those occurrences and that’s increased the cost of water and it’s associated sewage services. Green homes use less water to start and less water to convey the sewage. It’s this 20 to 30 percent less water use combined with sometimes 50 percent less sewage conveyance that reduces the water and sewage bill. The average flow rate for all showers is less than or equal 1.75 gpm. The average flow rate for lavatory faucets is less than or equal 1.5 gpm. 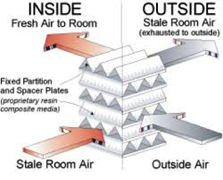 The Energy Star labeled bathroom exhaust fans exhaust outdoors and meet ASHRAE Std. 62.2 air flow requirements. For more information about future tours go to http://green-cincinnati.com/2015-green-home-tour-schedule/ or contact Chair Chuck Lohre, chuck@lohre.com, 513-260-9025.